First, please use CCBoot v3.0 build 20130404 or the above if you want it works with 3rd party DHCP. Please follow the following steps. 1) Please refer to “Configuring MS DHCP” first. Notes: You DONOT need to set any DHCP options in MS DHCP (such as root-path, next-server and etc). 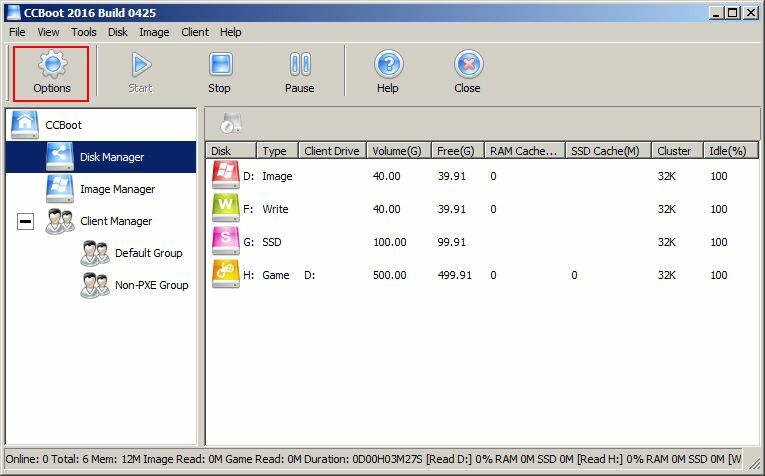 2) Click the "Options" button on the CCBoot Server (Figure 1-1). 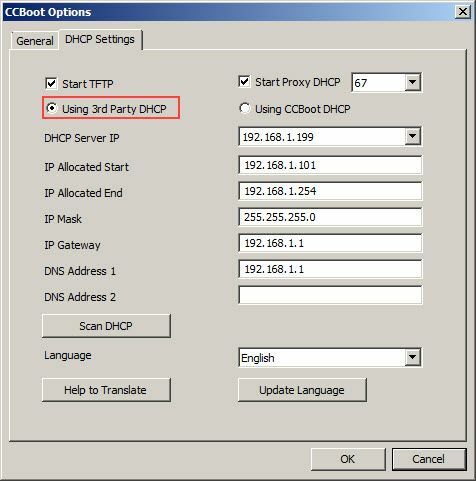 3) In the pop up "CCBoot Options" dialog box, click the "DHCP Settings" tab, select the "Using 3rd Part DHCP" radio. 4) You need to Set "IP Allocated Start", "IP Allocated End", "IP Mask", "IP Gateway", "DNS Address 1", and "DNS Address 2" same as MS DHCP. Keep other values as default settings, and then click the "OK" button. 5) You need to check the client IP settings If it's not allocated by DHCP, you need to refer to "Set the DHCP Client".